Grey Ruffle Dress (identical! ): Modcloth. Grey Pea Coat (similar): Delia's (very old). Faux Fur Scarf (identical & it's so warm! ): Gift. Textured Socks (similar, only $6): Thrifted. 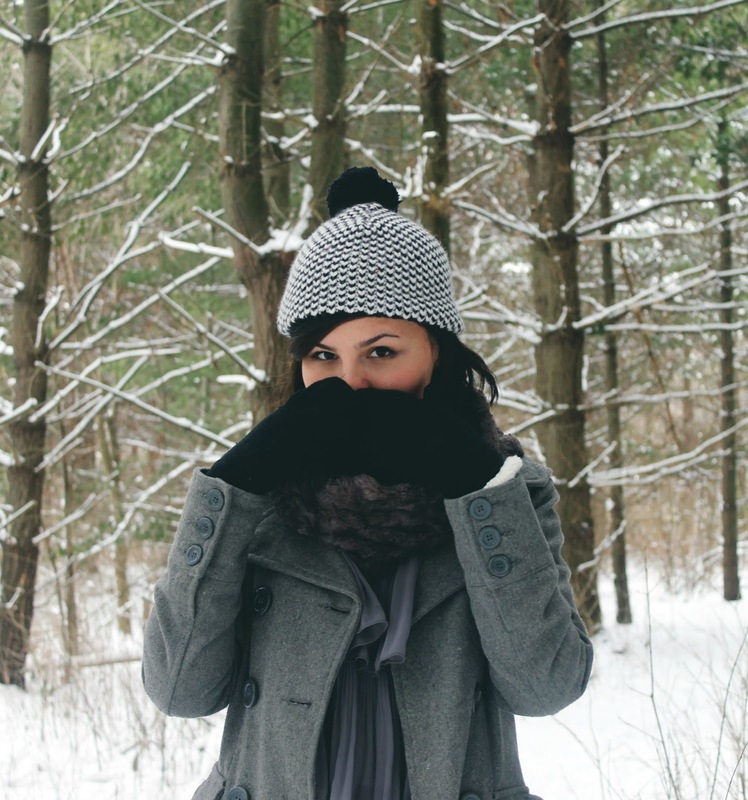 Bundling up in monochromatic layers in the cold, cold outdoors. This coat is mega old and one of the first pieces I owned when I began getting interested in fashion. It was my coat in the 7th grade and I was so proud of it because it was more fashion forward than the shapeless, puffy coats I'd worn in years past (which are ironically in fashion now, ha). It's a little small now, but it's nice to have a different piece of outwear than my regular coat to mix things up with my outdoor shots. Love your new layout so much! Haha the comment about puffy coats made me laugh, I literally just popped over to your blog after looking at puffy coats. Your outfit is just too cute!! Love your peacoat and the ruffled dress!! Have a lovely day! Very cute outfit in the snow... love the ruffle dress!